Non-Smoker vehicle, PLATINUM BRA, WINDOW TINT Heated Leather Seats, Navigation, Sunroof, ALMOND/ESPRESSO/ALM/IVORY, PERFORATED. ALMOND/ESPRESSO/ALM/IVORY, PERFORATED WINDSOR LEATHER SEAT TRIM, Power Liftgate, Back-Up Camera, Alloy Wheels, 4x4, WHEELS: 20 5 SPLIT-SPOKE 'STYLE 5084. HEATED & COOLED FRONT SEATS W/HEATED. HSE trim, Yulong White Metallic exterior and Almond/Espresso/Alm/Ivory interior. SEE MORE! KEY FEATURES INCLUDE Navigation, 4x4, Power Liftgate, Back-Up Camera, Supercharged, Premium Sound System, Satellite Radio, iPod/MP3 Input, Onboard Communications System, Remote Engine Start, WiFi Hotspot, Smart Device Integration Rear Spoiler, Keyless Entry, Privacy Glass, Remote Trunk Release, Steering Wheel Controls. OPTION PACKAGES DRIVE PRO PACKAGE: Adaptive Cruise Control w/Stop & Go, Blind Spot Assist, High Speed Emergency Braking, Lane Keep Assist, CLIMATE COMFORT PACK: Twin-Blade Sunvisors w/Illuminated Vanity Mirrors, Sliding Panoramic Roof, Heated Steering Wheel, Front Center Console Refrigerator Compartment, 4-Zone Climate Control, BLACK ROOF RAILS, HEATED & COOLED FRONT SEATS W/HEATED REAR SEATS, YULONG WHITE METALLIC, BASIC INTERIOR PROTECTION & STORAGE PACK, 20 FULL-SIZE SPARE WHEEL: toolkit, SHADOW ZEBRANO VENEER, DOMESTIC PLUG SOCKET: 110 volt/180 watt power, CD/DVD PLAYER, ALMOND/ESPRESSO/ALM/IVORY, PERFORATED WINDSOR LEATHER SEAT TRIM, WHEELS: 20 5 SPLIT-SPOKE 'STYLE 5084': silver finish (STD), HEATED WINDSHIELD W/HEATED WASHER JETS WHY BUY FROM US Land Rover Flatirons is different. We have assembled a team whose goal is to deliver the best ownership experience possible to everyone that chooses to own a Land Rover or Range Rover. Our pre-owned cars are reconditioned to a level unequalled in the market. ADDITIONAL OPTION PACKAGES Smartphone Pack and Meridian Sound System (380 Watt) Horsepower calculations based on trim engine configuration. Please confirm the accuracy of the included equipment by calling us prior to purchase. PLATINUM BRA, WINDOW TINT Navigation, Moonroof, Heated Leather Seats, EXTERIOR PROTECTION PACK, ALMOND/ESPRESSO/ALM/IVORY, PERFORATED WINDSOR LEATHER SEAT TRIM, BLACK ROOF RAILS, ALMOND/ESPRESSO/ALM/IVORY, PERFORATED. Panoramic Roof, Power Liftgate, Aluminum Wheels, 4x4, BASIC INTERIOR PROTECTION & STORAGE P. Santorini Black Metallic exterior and Almond/Espresso/Alm/Ivory interior, HSE trim. CLICK NOW! KEY FEATURES INCLUDE Sunroof, Panoramic Roof, Back-Up Camera, Supercharged, iPod/MP3 Input, Onboard Communications System, Remote Engine Start, WiFi Hotspot. Rear Spoiler, Remote Trunk Release, Privacy Glass, Keyless Entry, Steering Wheel Controls. OPTION PACKAGES DRIVE PRO PACKAGE: Adaptive Cruise Control w/Stop & Go, Blind Spot Assist, High Speed Emergency Braking, Lane Keep Assist, CLIMATE COMFORT PACK: Twin-Blade Sunvisors w/Illuminated Vanity Mirrors, Sliding Panoramic Roof, Heated Steering Wheel, Front Center Console Refrigerator Compartment, 4-Zone Climate Control, BLACK ROOF RAILS, RADIO: MERIDIAN SURROUND SOUND SYSTEM (825W): 19 speakers, EXTERIOR PROTECTION PACK, HEATED & COOLED FRONT SEATS W/HEATED REAR SEATS, SANTORINI BLACK METALLIC, SOFT DOOR CLOSE, BASIC INTERIOR PROTECTION & STORAGE PACK, 20 FULL-SIZE SPARE WHEEL: toolkit, DOMESTIC PLUG SOCKET: 110 volt/180 watt power, CABIN AIR IONIZATION, ALMOND/ESPRESSO/ALM/IVORY, PERFORATED WINDSOR LEATHER SEAT TRIM, 16-WAY HEATED FRONT SEATS W/MEMORY: driver and passenger 2-way electric power fore/aft and rise/fall adjust, 2-way electric power squab recline, 4-way electric power lumbar, front headrests w/2-way electric power height adjust and 2-way manual fore/aft adjust, 2-way electric power cushion tilt and captain's armrest (STD), WHEELS: 20 5 SPLIT-SPOKE 'STYLE 5084': silver finish (STD), CD/DVD PLAYER Horsepower calculations based on trim engine configuration. Please confirm the accuracy of the included equipment by calling us prior to purchase. PLATINUM BRA, WINDOW TINT Heated Leather Seats, NAV, Sunroof, ALMOND/ESPRESSO/ALM/IVORY, PERFORATED. BASIC INTERIOR PROTECTION & STORAGE P. ALMOND/ESPRESSO/ALM/IVORY, PERFORATED WINDSOR LEATHER SEAT TRIM, Panoramic Roof, Power Liftgate, 4x4, Tow Hitch, Alloy Wheels, HEATED STEERING WHEEL, HEAD-UP DISPLAY, TOWING PACKAGE. Fuji White exterior and Almond/Espresso/Alm/Ivory interior, HSE trim. READ MORE! KEY FEATURES INCLUDE Navigation, Supercharged, Premium Sound System, Satellite Radio, iPod/MP3 Input, Onboard Communications System, Aluminum Wheels, Remote Engine Start, Dual Zone A/C, WiFi Hotspot Rear Spoiler, MP3 Player, Privacy Glass, Remote Trunk Release, Keyless Entry. OPTION PACKAGES SHADOW ZEBRANO VENEER, SMARTPHONE PACK: Apple CarPlay and Android Auto, FRONT CENTER CONSOLE COOLER COMPARTMENT, OFF ROAD PACK: Terrain Response 2, All Terrain Progress Control (ATPC), twin-speed transfer box (high/low range) and adaptive dynamics, BASIC INTERIOR PROTECTION & STORAGE PACK, ALMOND/ESPRESSO/ALM/IVORY, PERFORATED WINDSOR LEATHER SEAT TRIM, FUJI WHITE, 16-WAY HEATED FRONT SEATS W/MEMORY: driver and passenger 2-way electric power fore/aft and rise/fall adjust, 2-way electric power squab recline, 4-way electric power lumbar, front headrests w/2-way electric power height adjust and 2-way manual fore/aft adjust, 2-way electric power cushion tilt and captain's armrest (STD), SLIDING PANORAMIC ROOF, TOWING PACKAGE: Advanced Tow Assist, Tow Hitch Receiver, Activity Key, WHEELS: 21 5 SPLIT-SPOKE 'STYLE 5085': diamond turned finish, Tires: 21, DRIVE ASSIST PACKAGE: Adaptive Cruise Control w/Stop & Go, Blind Spot Assist, Park Assist, parallel/perpendicular park and park exit, Adaptive Cruise Control w/Steering Assist, High Speed Emergency Braking, 360 Surround Camera Horsepower calculations based on trim engine configuration. Please confirm the accuracy of the included equipment by calling us prior to purchase. PLATINUM BRA, WINDOW TINT Heated Leather Seats, Navigation, Sunroof, BLACK ROOF RAILS , ALMOND/ESPRESSO/ALM/IVORY, PERFORATED. ALMOND/ESPRESSO/ALM/IVORY, PERFORATED DIAMOND-CUT SEMI-ANILINE LTHR SEAT TRIM, Power Liftgate, Rear Air, Panoramic Roof, Alloy Wheels, 4x4, WHEELS: 21 5 SPLIT-SPOKE 'STYLE 5085. FUJI WHITE. HSE Dynamic trim, Fuji White exterior and Almond/Espresso/Alm/Ivory interior SEE MORE! KEY FEATURES INCLUDE Navigation, Sunroof, Panoramic Roof, 4x4, Power Liftgate, Rear Air, Heated Rear Seat, Back-Up Camera, Supercharged, Premium Sound System, Satellite Radio, iPod/MP3 Input, Onboard Communications System, Remote Engine Start, Dual Zone A/C Rear Spoiler, Remote Trunk Release, Privacy Glass, Keyless Entry, Steering Wheel Controls. OPTION PACKAGES DRIVE PRO PACKAGE: Adaptive Cruise Control w/Stop & Go, Blind Spot Assist, High Speed Emergency Braking, Lane Keep Assist, BLACK ROOF RAILS, EXTERIOR PROTECTION PACK, SOFT DOOR CLOSE, BASIC INTERIOR PROTECTION & STORAGE PACK, 21 FULL-SIZE SPARE WHEEL: toolkit, SHADOW ZEBRANO VENEER, FRONT CENTER CONSOLE REFRIGERATOR COMPARTMENT, DOMESTIC PLUG SOCKET: 110 volt/180 watt power, CABIN AIR IONIZATION, WHEELS: 21 5 SPLIT-SPOKE 'STYLE 5085': diamond turned finish (STD), CD/DVD PLAYER, ALMOND/ESPRESSO/ALM/IVORY, PERFORATED DIAMOND-CUT SEMI-ANILINE LTHR SEAT TRIM, SMARTPHONE PACK: Apple CarPlay and Android Auto, HEATED WINDSHIELD W/HEATED WASHER JETS, 22-WAY HEATED & COOLED FRONT SEATS W/MEMORY: winged headrests, driver and passenger 2-way electric power fore/aft and rise/fall adjust, 2-way electric power squab recline and bolsters, 4-way electric power lumbar . ADDITIONAL OPTION PACKAGES Black Contrast Roof, Red Brake Calipers, 3-Zone Climate Control, Meridian Surround Sound System (825 Watt), and Sliding Panoramic Roof Horsepower calculations based on trim engine configuration. Please confirm the accuracy of the included equipment by calling us prior to purchase. PLATINUM BRA, WINDOW TINT Heated Leather Seats, Navigation, Moonroof, EBONY/EBONY/EBONY/EBONY, PERFORATED W. BLACK ROOF RAILS , EBONY/EBONY/EBONY/EBONY, PERFORATED WINDSOR LEATHER SEAT TRIM, Panoramic Roof, Power Liftgate, 4x4, Trailer Hitch, Aluminum Wheels, WHEELS: 21 5 SPLIT-SPOKE 'STYLE 5085. HSE trim, Silicon Silver Premium Metallic exterior and Ebony/Ebony/Ebony/Ebony interior. CLICK NOW! KEY FEATURES INCLUDE Navigation, Sunroof, Panoramic Roof, Power Liftgate, Supercharged, Premium Sound System, Satellite Radio, iPod/MP3 Input, Onboard Communications System, Aluminum Wheels, Remote Engine Start, WiFi Hotspot Rear Spoiler, MP3 Player, Remote Trunk Release, Privacy Glass, Keyless Entry. OPTION PACKAGES DRIVE ASSIST PACKAGE: Adaptive Cruise Control w/Stop & Go, Blind Spot Assist, Park Assist, parallel/perpendicular park and park exit, Adaptive Cruise Control w/Steering Assist, High Speed Emergency Braking, 360 Surround Camera, Lane Keep Assist, WHEELS: 21 5 SPLIT-SPOKE 'STYLE 5085': diamond turned finish, Tires: 21, OFF ROAD PACK: Terrain Response 2, All Terrain Progress Control (ATPC), twin-speed transfer box (high/low range) and adaptive dynamics, SILICON SILVER PREMIUM METALLIC, CLIMATE COMFORT PACK: Twin-Blade Sunvisors w/Illuminated Vanity Mirrors, Sliding Panoramic Roof, Heated Steering Wheel, Front Center Console Refrigerator Compartment, 4-Zone Climate Control, HEAD-UP DISPLAY, BLACK ROOF RAILS, TOWING PACKAGE: Advanced Tow Assist, Tow Hitch Receiver, Activity Key, HEATED & COOLED FRONT SEATS W/HEATED REAR SEATS, BASIC INTERIOR PROTECTION & STORAGE PACK, EBONY MORZINE HEADLINING, DOMESTIC PLUG SOCKET: 110 volt/180 watt power, CABIN AIR IONIZATION, EBONY/EBONY/EBONY/EBONY . ADDITIONAL OPTION PACKAGES Meridian Sound System (380 Watt) and Micromesh Aluminum Horsepower calculations based on trim engine configuration. Please confirm the accuracy of the included equipment by calling us prior to purchase. PLATINUM BRA, WINDOW TINT Heated Leather Seats, Navigation, Moonroof, ALMOND/ESPRESSO/ALM/IVORY, PERFORATED DIAMOND-CUT SEMI-ANILINE LTHR SEAT TRIM, ALMOND/ESPRESSO/ALM/IVORY, PERFORATED. Aluminum Wheels, Power Liftgate, Rear Air, 4x4, Panoramic Roof, BLACK ROOF RAILS , WHEELS: 21 5 SPLIT-SPOKE 'STYLE 5085. HSE Dynamic trim, Loire Blue Metallic exterior and Almond/Espresso/Alm/Ivory interior. CLICK NOW! KEY FEATURES INCLUDE Navigation, Sunroof, Panoramic Roof, 4x4, Power Liftgate, Rear Air, Heated Rear Seat, Back-Up Camera, Supercharged, Premium Sound System, Satellite Radio, iPod/MP3 Input, Onboard Communications System, Remote Engine Start, Dual Zone A/C. Rear Spoiler, Remote Trunk Release, Privacy Glass, Keyless Entry, Child Safety Locks. OPTION PACKAGES DRIVE PRO PACKAGE: Adaptive Cruise Control w/Stop & Go, Blind Spot Assist, High Speed Emergency Braking, Lane Keep Assist, BLACK ROOF RAILS, EXTERIOR PROTECTION PACK, LOIRE BLUE METALLIC, SOFT DOOR CLOSE, BASIC INTERIOR PROTECTION & STORAGE PACK, 21 FULL-SIZE SPARE WHEEL: toolkit, FRONT CENTER CONSOLE REFRIGERATOR COMPARTMENT, DOMESTIC PLUG SOCKET: 110 volt/180 watt power, CABIN AIR IONIZATION, CD/DVD PLAYER, ALMOND/ESPRESSO/ALM/IVORY, PERFORATED DIAMOND-CUT SEMI-ANILINE LTHR SEAT TRIM, WHEELS: 21 5 SPLIT-SPOKE 'STYLE 5085': diamond turned finish (STD), SMARTPHONE PACK: Apple CarPlay and Android Auto BUY FROM AN AWARD WINNING DEALER Land Rover Flatirons is different. We have assembled a team whose goal is to deliver the best ownership experience possible to everyone that chooses to own a Land Rover or Range Rover. Our pre-owned cars are reconditioned to a level unequalled in the market. ADDITIONAL OPTION PACKAGES Grand Black Veneer, Red Brake Calipers, 3-Zone Climate Control, Meridian Surround Sound System (825 Watt), and Sliding Panoramic Roof Horsepower calculations based on trim engine configuration. Please confirm the accuracy of the included equipment by calling us prior to purchase. PLATINUM BRA, WINDOW TINT Heated Leather Seats, NAV, Sunroof, VIN TAN/EB/EB/VIN TAN/EB, PERFORATED DIAMOND-CUT SEMI-ANILINE LTHR SEAT TRIM, VIN TAN/EB/EB/VIN TAN/EB, PERFORATED. Alloy Wheels, Power Liftgate, Rear Air, 4x4, Panoramic Roof, HEATED WINDSHIELD W/HEATED WASHER JET. DRIVE PRO PACKAGE. Silicon Silver Premium Metallic exterior and Vin Tan/Eb/Eb/Vin Tan/Eb interior, HSE Dynamic trim. SEE MORE! KEY FEATURES INCLUDE Navigation, Heated Rear Seat, Back-Up Camera, Supercharged, Premium Sound System, Satellite Radio, iPod/MP3 Input, Onboard Communications System, Remote Engine Start, Dual Zone A/C Rear Spoiler, MP3 Player, Keyless Entry, Privacy Glass, Remote Trunk Release. OPTION PACKAGES DRIVE PRO PACKAGE: Adaptive Cruise Control w/Stop & Go, Blind Spot Assist, High Speed Emergency Braking, Lane Keep Assist, SILICON SILVER PREMIUM METALLIC, BLACK ROOF RAILS, EXTERIOR PROTECTION PACK, SOFT DOOR CLOSE, BASIC INTERIOR PROTECTION & STORAGE PACK, 21 FULL-SIZE SPARE WHEEL: toolkit, FRONT CENTER CONSOLE REFRIGERATOR COMPARTMENT, DOMESTIC PLUG SOCKET: 110 volt/180 watt power, CABIN AIR IONIZATION, VIN TAN/EB/EB/VIN TAN/EB, PERFORATED DIAMOND-CUT SEMI-ANILINE LTHR SEAT TRIM, SMARTPHONE PACK: Apple CarPlay and Android Auto, HEATED WINDSHIELD W/HEATED WASHER JETS, 22-WAY HEATED & COOLED FRONT SEATS W/MEMORY: winged headrests, driver and passenger 2-way electric power fore/aft and rise/fall adjust, 2-way electric power squab recline and bolsters, 4-way electric power lumbar, front headrests w/4-way manual fore/aft/wing adjust . ADDITIONAL OPTION PACKAGES Grand Black Veneer, Red Brake Calipers, 3-Zone Climate Control, Meridian Surround Sound System (825 Watt), and Sliding Panoramic Roof Horsepower calculations based on trim engine configuration. Please confirm the accuracy of the included equipment by calling us prior to purchase. PLATINUM BRA, WINDOW TINT Sunroof, NAV, Heated Leather Seats, BLACK ROOF RAILS, VIN TAN/EB/EB/VIN TAN/EB, PERFORATED. VIN TAN/EB/EB/VIN TAN/EB, PERFORATED DIAMOND-CUT SEMI-ANILINE LTHR SEAT TRIM, Alloy Wheels, Rear Air, Heated Rear Seat, Power Liftgate, 4x4, Panoramic Roof, 21 FULL-SIZE SPARE WHEEL. HSE Dynamic trim, Loire Blue Metallic exterior and Vin Tan/Eb/Eb/Vin Tan/Eb interior. SEE MORE! KEY FEATURES INCLUDE Navigation, Back-Up Camera, Supercharged, Premium Sound System, Satellite Radio, iPod/MP3 Input, Onboard Communications System, Aluminum Wheels, Remote Engine Start Rear Spoiler, Remote Trunk Release, Privacy Glass, Keyless Entry, Child Safety Locks. OPTION PACKAGES DRIVE PRO PACKAGE: Adaptive Cruise Control w/Stop & Go, Blind Spot Assist, High Speed Emergency Braking, Lane Keep Assist, BLACK ROOF RAILS, EXTERIOR PROTECTION PACK, LOIRE BLUE METALLIC, WHEELS: 21 9 SPOKE GLOSS BLACK 'STYLE 9001', SOFT DOOR CLOSE, BASIC INTERIOR PROTECTION & STORAGE PACK, 21 FULL-SIZE SPARE WHEEL: toolkit, EBONY MORZINE HEADLINING, FRONT CENTER CONSOLE REFRIGERATOR COMPARTMENT, DOMESTIC PLUG SOCKET: 110 volt/180 watt power, CABIN AIR IONIZATION, CD/DVD PLAYER, VIN TAN/EB/EB/VIN TAN/EB, PERFORATED DIAMOND-CUT SEMI-ANILINE LTHR SEAT TRIM, SMARTPHONE PACK: Apple CarPlay and Android Auto OUR OFFERINGS Land Rover Flatirons is different. We have assembled a team whose goal is to deliver the best ownership experience possible to everyone that chooses to own a Land Rover or Range Rover. Our pre-owned cars are reconditioned to a level unequalled in the market. ADDITIONAL OPTION PACKAGES Black Contrast Roof, Grand Black Veneer, Red Brake Calipers, 3-Zone Climate Control, Meridian Surround Sound System (825 Watt), and Sliding Panoramic Roof Horsepower calculations based on trim engine configuration. Please confirm the accuracy of the included equipment by calling us prior to purchase. PLATINUM BRA, WINDOW TINT Heated Leather Seats, Sunroof, NAV, Panoramic Roof, 4x4, Alloy Wheels, Power Liftgate, DRIVE ASSIST PACKAGE, Heated Rear Seat, Rear Air, CABIN AIR IONIZATION, SMARTPHONE PACK, FUJI WHITE, SHADOW ZEBRANO VENEER, HEATED WINDSHIELD W/HEATED WASHER JET. TOW PACK, WINDOW TINT. Fuji White exterior and Almond/Espresso/Alm/Ivory interior, HSE Dynamic trim. CLICK NOW! KEY FEATURES INCLUDE Navigation, Supercharged, Premium Sound System, Satellite Radio, iPod/MP3 Input, Onboard Communications System, Aluminum Wheels, Remote Engine Start, Dual Zone A/C. Rear Spoiler, MP3 Player, Keyless Entry, Privacy Glass, Remote Trunk Release. OPTION PACKAGES 22-WAY HEATED & COOLED FRONT SEATS W/MEMORY: winged headrests, driver and passenger 2-way electric power fore/aft and rise/fall adjust, 2-way electric power squab recline and bolsters, 4-way electric power lumbar, front headrests w/4-way manual fore/aft/wing adjust, 2-way electric power cushion tilt and extension and captain's armrest (STD), SMARTPHONE PACK: Apple CarPlay and Android Auto, ALMOND/ESPRESSO/ALM/IVORY, PERFORATED DIAMOND-CUT SEMI-ANILINE LTHR SEAT TRIM, TOW PACK, BASIC INTERIOR PROTECTION & STORAGE PACK, WHEELS: 21 5 SPLIT-SPOKE GLOSS BLACK 'STYLE 5007': diamond turned finish, DRIVE ASSIST PACKAGE: Adaptive Cruise Control w/Stop & Go, Blind Spot Assist, Park Assist, parallel/perpendicular park and park exit, Adaptive Cruise Control w/Steering Assist, High Speed Emergency Braking, 360 Surround Camera, Lane Keep Assist, FRONT CENTER CONSOLE COOLER COMPARTMENT . ADDITIONAL OPTION PACKAGES Red Brake Calipers, 3-Zone Climate Control, Meridian Surround Sound System (825 Watt), Heated Rear Seats, Sliding Panoramic Roof, and Black Contrast Roof Horsepower calculations based on trim engine configuration. Please confirm the accuracy of the included equipment by calling us prior to purchase. Navigation, Moonroof, Heated Leather Seats, Heated Rear Seat, Aluminum Wheels, 4x4, Panoramic Roof, Rear Air, Power Liftgate. HSE Dynamic trim. Warranty 4 yrs/50k Miles - Drivetrain Warranty; AND MORE! KEY FEATURES INCLUDE Leather Seats, Sunroof, Power Liftgate, Heated Driver Seat, Cooled Driver Seat, Back-Up Camera, Supercharged, Premium Sound System, Satellite Radio, iPod/MP3 Input Rear Spoiler, MP3 Player, Keyless Entry, Privacy Glass, Remote Trunk Release. Please confirm the accuracy of the included equipment by calling us prior to purchase. PLATINUM BRA, WINDOW TINT NAV, Sunroof, Heated Leather Seats, Alloy Wheels, VIN TAN/EB/EB/VIN TAN/EB, PERFORATED. VIN TAN/EB/EB/VIN TAN/EB, PERFORATED DIAMOND-CUT SEMI-ANILINE LTHR SEAT TRIM, Rear Air, Heated Rear Seat, Power Liftgate, 4x4, Panoramic Roof, HEAD-UP DISPLAY, EBONY MORZINE HEADLINING. Loire Blue Metallic exterior and Vin Tan/Eb/Eb/Vin Tan/Eb interior, HSE Dynamic trim. CLICK NOW! KEY FEATURES INCLUDE Navigation, Supercharged, Premium Sound System, Satellite Radio, iPod/MP3 Input, Onboard Communications System, Aluminum Wheels, Remote Engine Start, Dual Zone A/C. Rear Spoiler, MP3 Player, Privacy Glass, Remote Trunk Release, Keyless Entry. OPTION PACKAGES DRIVE ASSIST PACKAGE: Adaptive Cruise Control w/Stop & Go, Blind Spot Assist, Park Assist, parallel/perpendicular park and park exit, Adaptive Cruise Control w/Steering Assist, High Speed Emergency Braking, 360 Surround Camera, Lane Keep Assist, TOW PACK, HEAD-UP DISPLAY, BLACK ROOF RAILS, LOIRE BLUE METALLIC, BASIC INTERIOR PROTECTION & STORAGE PACK, ACTIVITY KEY, EBONY MORZINE HEADLINING, DOMESTIC PLUG SOCKET: 110 volt/180 watt power, CABIN AIR IONIZATION, WHEELS: 21 5 SPLIT-SPOKE 'STYLE 5007': silver finish, VIN TAN/EB/EB/VIN TAN/EB, PERFORATED DIAMOND-CUT SEMI-ANILINE LTHR SEAT TRIM . OUR OFFERINGS Land Rover Flatirons is different. We have assembled a team whose goal is to deliver the best ownership experience possible to everyone that chooses to own a Land Rover or Range Rover. Our pre-owned cars are reconditioned to a level unequalled in the market. ADDITIONAL OPTION PACKAGES Black Contrast Roof, Grand Black Veneer, Grey Brake Calipers, 3-Zone Climate Control, Meridian Surround Sound System (825 Watt), and Sliding Panoramic Roof Horsepower calculations based on trim engine configuration. Please confirm the accuracy of the included equipment by calling us prior to purchase. Non-Smoker vehicle, Originally bought here Nav System, Moonroof, Heated Leather Seats, TOW PACK, EBONY/EBONY/EBONY/EBONY, PERFORATED WINDSOR LEATHER SEAT TRIM, BLACK ROOF RAILS, EBONY/EBONY/EBONY/EBONY, PERFORATED W. Power Liftgate, Back-Up Camera, 4x4, Panoramic Roof, BASIC INTERIOR PROTECTION & STORAGE P. CD/DVD PLAYER. Firenze Red Metallic exterior and Ebony/Ebony/Ebony/Ebony interior, Dynamic trim CLICK ME! KEY FEATURES INCLUDE Navigation, Sunroof, Power Liftgate, Supercharged, iPod/MP3 Input, Onboard Communications System, Remote Engine Start, WiFi Hotspot, Smart Device Integration Rear Spoiler, Privacy Glass, Keyless Entry, Remote Trunk Release, Child Safety Locks. OPTION PACKAGES SOFT DOOR CLOSE, FIRENZE RED METALLIC, CLIMATE COMFORT PACK: Heated Steering Wheel, Front Center Console Refrigerator Compartment, 4-Zone Climate Control, BLACK CONTRAST ROOF: Narvik Black Mirror Caps, 16-WAY HEATED FRONT SEATS W/MEMORY: driver and passenger 2-way electric power fore/aft and rise/fall adjust, 2-way electric power squab recline, 4-way electric power lumbar, front headrests w/2-way electric power height adjust and 2-way manual fore/aft adjust, 2-way electric power cushion tilt and captain's armrest (STD), BLACK ROOF RAILS, EBONY/EBONY/EBONY/EBONY, PERFORATED WINDSOR LEATHER SEAT TRIM, BASIC INTERIOR PROTECTION & STORAGE PACK, TOW PACK, DOMESTIC PLUG SOCKET: 110 volt/180 watt power, CABIN AIR IONIZATION, CD/DVD PLAYER, EBONY MORZINE HEADLINING, DRIVE PRO PACKAGE: Adaptive Cruise Control w/Stop & Go VISIT US TODAY Land Rover Flatirons is different. We have assembled a team whose goal is to deliver the best ownership experience possible to everyone that chooses to own a Land Rover or Range Rover. Our pre-owned cars are reconditioned to a level unequalled in the market. Horsepower calculations based on trim engine configuration. Please confirm the accuracy of the included equipment by calling us prior to purchase. Non-Smoker vehicle, PLATINUM BRA, WINDOW TINT Heated Leather Seats, Nav System, Moonroof, VIN TAN/EB/EB/VIN TAN/EB, DUO-TONE PERFORATED WINDSOR LEATHER SEAT TRIM, VIN TAN/EB/EB/VIN TAN/EB, DUO-TONE PE. Aluminum Wheels, Power Liftgate, Supercharged, 4x4, Panoramic Roof, BASIC INTERIOR PROTECTION & STORAGE P. 21 FULL-SIZE SPARE WHEEL. Fuji White exterior and Vin Tan/Eb/Eb/Vin Tan/Eb interior, Dynamic trim. READ MORE! KEY FEATURES INCLUDE Navigation, Sunroof, iPod/MP3 Input, Onboard Communications System, Aluminum Wheels, Remote Engine Start, Dual Zone A/C, WiFi Hotspot, Smart Device Integration. Rear Spoiler, Remote Trunk Release, Keyless Entry, Privacy Glass, Steering Wheel Controls. OPTION PACKAGES GRAND BLACK VENEER, SOFT DOOR CLOSE, DOMESTIC PLUG SOCKET: 110 volt/180 watt power, BLACK CONTRAST ROOF: Narvik Black Mirror Caps, BASIC INTERIOR PROTECTION & STORAGE PACK, VIN TAN/EB/EB/VIN TAN/EB, DUO-TONE PERFORATED WINDSOR LEATHER SEAT TRIM: suedecloth bolsters, FUJI WHITE, 16-WAY HEATED FRONT SEATS W/MEMORY (300PJ), DRIVE ASSIST PACKAGE: Adaptive Cruise Control w/Stop & Go, Blind Spot Assist, Park Assist, parallel/perpendicular park and park exit, Adaptive Cruise Control w/Steering Assist, High Speed Emergency Braking, 360 Surround Camera, Lane Keep Assist, Rear Traffic Monitor, Clear Exit Monitor, 360 Parking Aid, CD/DVD PLAYER, EBONY MORZINE HEADLINING WHY BUY FROM US Land Rover Flatirons is different. We have assembled a team whose goal is to deliver the best ownership experience possible to everyone that chooses to own a Land Rover or Range Rover. Our pre-owned cars are reconditioned to a level unequalled in the market. ADDITIONAL OPTION PACKAGES Smartphone Pack, Red Brake Calipers, and Sliding Panoramic Roof with Gesture Sunblind Horsepower calculations based on trim engine configuration. Please confirm the accuracy of the included equipment by calling us prior to purchase. Non-Smoker vehicle, PLATINUM BRA, WINDOW TINT NAV, Sunroof, Heated Leather Seats, ALMOND/ESPRESSO/ALM/IVORY, PERFORATED WINDSOR LEATHER SEAT TRIM, BASIC INTERIOR PROTECTION & STORAGE P. TOW PACK, BLACK ROOF RAILS, ALMOND/ESPRESSO/ALM/IVORY, PERFORATED. Power Liftgate, Back-Up Camera, Panoramic Roof, Alloy Wheels, 4x4, DRIVE PRO PACKAGE. Dynamic trim, Fuji White exterior and Almond/Espresso/Alm/Ivory interior READ MORE! KEY FEATURES INCLUDE Navigation, Power Liftgate, Supercharged, iPod/MP3 Input, Onboard Communications System, Aluminum Wheels, Remote Engine Start, Smart Device Integration, WiFi Hotspot. Rear Spoiler, Privacy Glass, Keyless Entry, Remote Trunk Release, Child Safety Locks. OPTION PACKAGES DRIVE PRO PACKAGE: Adaptive Cruise Control w/Stop & Go, Blind Spot Assist, High Speed Emergency Braking, Lane Keep Assist, VISION ASSIST PACKAGE: Head-Up Display, Auto High Beam Assist (AHBA), Configurable Ambient Interior Lighting, TOW PACK, WHEELS: 21 5 SPLIT-SPOKE GLOSS BLACK 'STYLE 5007': diamond turned finish, BLACK ROOF RAILS, RADIO: MERIDIAN SURROUND SOUND SYSTEM (825W): 19 speakers, CLIMATE COMFORT PACK: Heated Steering Wheel, Front Center Console Refrigerator Compartment, 4-Zone Climate Control, HEATED & COOLED FRONT SEATS W/HEATED REAR SEATS, BLACK CONTRAST ROOF: Narvik Black Mirror Caps, SOFT DOOR CLOSE, BASIC INTERIOR PROTECTION & STORAGE PACK, 21 FULL-SIZE SPARE WHEEL: toolkit, SHADOW ZEBRANO VENEER, BASIC REAR SEAT CONVENIENCE PACK (PREFERRED), DOMESTIC PLUG SOCKET: 110 volt/180 watt power, CABIN AIR IONIZATION, ALMOND/ESPRESSO/ALM/IVORY, PERFORATED WINDSOR LEATHER SEAT TRIM, CD/DVD PLAYER, HEATED WINDSHIELD W/HEATED WASHER JETS ADDITIONAL OPTION PACKAGES Smartphone Pack, Red Brake Calipers, and Sliding Panoramic Roof with Gesture Sunblind Horsepower calculations based on trim engine configuration. Please confirm the accuracy of the included equipment by calling us prior to purchase. PLATINUM BRA, WINDOW TINT NAV, Sunroof, Heated Leather Seats, VIN TAN/EB/EB/VIN TAN/EB, DUO-TONE PERFORATED WINDSOR LEATHER SEAT TRIM, FIXED SIDE STEPS, TOW PACK, EXTERIOR PROTECTION PACK, VIN TAN/EB/EB/VIN TAN/EB, DUO-TONE PE. Power Liftgate, Supercharged, Panoramic Roof, Alloy Wheels, 4x4. Dynamic trim, Silicon Silver Premium Metallic exterior and Vin Tan/Eb/Eb/Vin Tan/Eb interior READ MORE! KEY FEATURES INCLUDE Navigation, 4x4, Power Liftgate, iPod/MP3 Input, Onboard Communications System, Aluminum Wheels, Remote Engine Start, WiFi Hotspot. Rear Spoiler, Keyless Entry, Privacy Glass, Remote Trunk Release, Child Safety Locks. OPTION PACKAGES DRIVE ASSIST PACKAGE: Adaptive Cruise Control w/Stop & Go, Blind Spot Assist, Park Assist, parallel/perpendicular park and park exit, Adaptive Cruise Control w/Steering Assist, High Speed Emergency Braking, 360 Surround Camera, Lane Keep Assist, VISION ASSIST PACKAGE: Head-Up Display, Auto High Beam Assist (AHBA), Configurable Ambient Interior Lighting, SILICON SILVER PREMIUM METALLIC, FIXED SIDE STEPS, TOW PACK, WHEELS: 21 5 SPLIT-SPOKE GLOSS BLACK 'STYLE 5007': diamond turned finish, RADIO: MERIDIAN SURROUND SOUND SYSTEM (825W): 19 speakers, HEATED & COOLED FRONT & REAR SEATS, CLIMATE COMFORT PACK: Twin-Blade Sunvisors w/Illuminated Vanity Mirrors, Heated Steering Wheel, Front Center Console Refrigerator Compartment, 4-Zone Climate Control, EXTERIOR PROTECTION PACK, BASIC INTERIOR PROTECTION & STORAGE PACK, 21 FULL-SIZE SPARE WHEEL: toolkit, SHADOW ZEBRANO VENEER, EBONY MORZINE HEADLINING, WADE SENSING, DOMESTIC PLUG SOCKET: 110 volt/180 watt power, CABIN AIR IONIZATION, CD/DVD PLAYER, VIN TAN/EB/EB/VIN TAN/EB . ADDITIONAL OPTION PACKAGES Red Brake Calipers and Sliding Panoramic Roof Horsepower calculations based on trim engine configuration. Please confirm the accuracy of the included equipment by calling us prior to purchase. PLATINUM BRA, WINDOW TINT Moonroof, Nav System, Heated Leather Seats, PREMIUM INT PROTECTION & STORAGE PACK. ALMOND/ESPRESSO/ALM/IVORY, PERFORATED DIAMOND-CUT SEMI-ANILINE LTHR SEAT TRIM, WHEEL PROTECTION PACK W/CHROME LOCKS. ALMOND/ESPRESSO/ALM/IVORY, PERFORATED. Power Liftgate, Heated Rear Seat. Yulong White Metallic exterior and Almond/Espresso/Alm/Ivory interior, Autobiography trim. SEE MORE! KEY FEATURES INCLUDE Navigation, Sunroof, Panoramic Roof, 4x4, Power Liftgate, Heated Rear Seat, Back-Up Camera, Supercharged, Premium Sound System, Satellite Radio, iPod/MP3 Input, Onboard Communications System, Remote Engine Start, WiFi Hotspot. Rear Spoiler, Privacy Glass, Remote Trunk Release, Keyless Entry, Steering Wheel Controls. OPTION PACKAGES YULONG WHITE METALLIC, 22-WAY HEATED & COOLED FRONT SEATS W/MEMORY: winged headrests, driver and passenger 2-way electric power fore/aft and rise/fall adjust, 2-way electric power squab recline and bolsters, 4-way electric power lumbar, front headrests w/4-way manual fore/aft/wing adjust, 2-way electric power cushion tilt and extension and captain's armrest (STD), SMARTPHONE PACK: Apple CarPlay and Android Auto, ACTIVITY KEY, EXTENDED SHADOW ZEBRANO VENEER, WHEEL PROTECTION PACK W/CHROME LOCKS (PREFERRED): Pre-selected preferred port option, ALMOND/ESPRESSO/ALM/IVORY, PERFORATED DIAMOND-CUT SEMI-ANILINE LTHR SEAT TRIM, PREMIUM INT PROTECTION & STORAGE PACK (PREFERRED): Pre-selected preferred port option, CAR CARE KIT (PREFERRED): Pre-selected preferred port option, BASIC REAR SEAT CONVENIENCE PACK (PREFERRED): Pre-selected preferred port option, CD/DVD PLAYER, WHEELS: 21 5 SPLIT-SPOKE 'STYLE 5085': diamond turned finish (STD), CABIN AIR IONIZATION, DRIVE ASSIST PACKAGE: Adaptive Cruise Control w/Stop & Go, Blind Spot Assist, Park Assist . ADDITIONAL OPTION PACKAGES Red Brake Calipers, 3-Zone Climate Control, Meridian Surround Sound System (825 Watt), Heated Rear Seats, Sliding Panoramic Roof, and Black Contrast Roof Horsepower calculations based on trim engine configuration. Please confirm the accuracy of the included equipment by calling us prior to purchase. Non-Smoker vehicle, Originally bought here, PLATINUM BRA, WINDOW TINT Heated Leather Seats, NAV, Sunroof, BLACK ROOF RAILS, FIXED SIDE STEPS, 22-WAY HEATED/COOLED MASSAGE FRONT SEATS W/MEMORY, Power Liftgate, Rear Air, Panoramic Roof, Alloy Wheels, 4x4, BASIC INTERIOR PROTECTION & STORAGE P. 21 FULL-SIZE SPARE WHEEL, CD/DVD PLAYER. Autobiography trim, Yulong White Metallic exterior and Vin Tan/Eb/Eb/Vin Tan/Eb interior. READ MORE! KEY FEATURES INCLUDE Leather Seats, Navigation, Back-Up Camera, Supercharged, Premium Sound System, Satellite Radio, iPod/MP3 Input, Onboard Communications System, Aluminum Wheels, Remote Engine Start. Rear Spoiler, Privacy Glass, Keyless Entry, Remote Trunk Release, Child Safety Locks. OPTION PACKAGES DRIVE ASSIST PACKAGE: Adaptive Cruise Control w/Stop & Go, Blind Spot Assist, Park Assist, parallel/perpendicular park and park exit, Adaptive Cruise Control w/Steering Assist, High Speed Emergency Braking, Lane Keep Assist, Rear Traffic Monitor, Clear Exit Monitor, 360 Parking Aid, FIXED SIDE STEPS, HEAD-UP DISPLAY, BLACK ROOF RAILS, 22-WAY HEATED/COOLED MASSAGE FRONT SEATS W/MEMORY: winged headrests, driver and passenger 2-way electric power fore/aft and rise/fall adjust, 2-way electric power squab recline and bolsters, 4-way electric power lumbar, front headrests w/4-way manual fore/aft/wing adjust, 2-way electric power cushion tilt and extension and captain's armrest, YULONG WHITE METALLIC, WHEELS: 21 5 SPLIT-SPOKE GLOSS BLACK 'STYLE 5007': diamond turned finish, BASIC INTERIOR PROTECTION & STORAGE PACK, 21 FULL-SIZE SPARE WHEEL: toolkit ADDITIONAL OPTION PACKAGES Black Contrast Roof, Smartphone Pack, Red Brake Calipers, 3-Zone Climate Control, and Meridian Surround Sound System (825 Watt) Horsepower calculations based on trim engine configuration. Please confirm the accuracy of the included equipment by calling us prior to purchase. PLATINUM BRA, WINDOW TINT Nav System, Moonroof, Heated Leather Seats, EXTERIOR PROTECTION PACK, VIN TAN/EB/EB/VIN TAN/EB, PERFORATED DIAMOND-CUT SEMI-ANILINE LTHR SEAT TRIM, BLACK ROOF RAILS, VIN TAN/EB/EB/VIN TAN/EB, PERFORATED. Panoramic Roof, Power Liftgate, Aluminum Wheels, 4x4, TOW PACK. Carpathian Gray Premium Metallic exterior and Vin Tan/Eb/Eb/Vin Tan/Eb interior, Autobiography trim. CLICK ME! KEY FEATURES INCLUDE Navigation, Sunroof, Panoramic Roof, Back-Up Camera, Supercharged, Premium Sound System, Satellite Radio, iPod/MP3 Input, Onboard Communications System, Remote Engine Start, WiFi Hotspot Rear Spoiler, Keyless Entry, Privacy Glass, Remote Trunk Release, Steering Wheel Controls. OPTION PACKAGES DRIVE PRO PACKAGE: Adaptive Cruise Control w/Stop & Go, Blind Spot Assist, High Speed Emergency Braking, Lane Keep Assist, TOW PACK, BLACK ROOF RAILS, EXTERIOR PROTECTION PACK, BASIC INTERIOR PROTECTION & STORAGE PACK, 21 FULL-SIZE SPARE WHEEL: toolkit, 4-ZONE CLIMATE CONTROL, EBONY MORZINE HEADLINING, WADE SENSING, HEATED & COOLED FRONT & REAR SEATS, DOMESTIC PLUG SOCKET: 110 volt/180 watt power, CABIN AIR IONIZATION, VIN TAN/EB/EB/VIN TAN/EB, PERFORATED DIAMOND-CUT SEMI-ANILINE LTHR SEAT TRIM, 22-WAY HEATED & COOLED FRONT SEATS W/MEMORY: winged headrests, driver and passenger 2-way electric power fore/aft and rise/fall adjust, 2-way electric power squab recline and bolsters, 4-way electric power lumbar, front headrests w/4-way manual fore/aft/wing adjust, 2-way electric power cushion tilt and extension and captain's armrest (STD), WHEELS: 21 5 SPLIT-SPOKE 'STYLE 5085': diamond turned finish (STD) ADDITIONAL OPTION PACKAGES Black Contrast Roof, Grand Black Veneer, Red Brake Calipers, Meridian Surround Sound System (825 Watt), and Sliding Panoramic Roof Horsepower calculations based on trim engine configuration. Please confirm the accuracy of the included equipment by calling us prior to purchase. PLATINUM BRA, WINDOW TINT Heated Leather Seats, Navigation, Sunroof, EXTERIOR PROTECTION PACK , TOW PACK , BLACK ROOF RAILS , Power Liftgate, Back-Up Camera, Panoramic Roof, Alloy Wheels, 4x4, BASIC INTERIOR PROTECTION & STORAGE P. 21 FULL-SIZE SPARE WHEEL , WHEELS: 21 5 SPLIT-SPOKE GLOSS BLACK. Byron Blue Metallic exterior and Eclp/Ebony/Eclip/Ebony/Eb interior, Autobiography trim READ MORE! KEY FEATURES INCLUDE Leather Seats, Navigation, Sunroof, Panoramic Roof, 4x4, Power Liftgate, Back-Up Camera, Supercharged, Premium Sound System, Satellite Radio, iPod/MP3 Input, Onboard Communications System, Aluminum Wheels, Remote Engine Start, WiFi Hotspot Rear Spoiler, Keyless Entry, Privacy Glass, Remote Trunk Release, Steering Wheel Controls. OPTION PACKAGES DRIVE PRO PACKAGE: Adaptive Cruise Control w/Stop & Go, Blind Spot Assist, High Speed Emergency Braking, Lane Keep Assist, TOW PACK, HEAD-UP DISPLAY, BLACK ROOF RAILS, EXTERIOR PROTECTION PACK, BYRON BLUE METALLIC, WHEELS: 21 5 SPLIT-SPOKE GLOSS BLACK 'STYLE 5007': diamond turned finish, BASIC INTERIOR PROTECTION & STORAGE PACK, 21 FULL-SIZE SPARE WHEEL: toolkit, 4-ZONE CLIMATE CONTROL, WADE SENSING, HEATED & COOLED FRONT & REAR SEATS, DOMESTIC PLUG SOCKET: 110 volt/180 watt power, CABIN AIR IONIZATION, CD/DVD PLAYER, FRONT CENTER CONSOLE COOLER COMPARTMENT, SMARTPHONE PACK: Apple CarPlay and Android Auto . 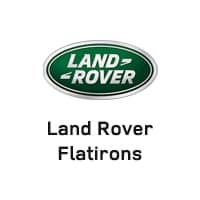 VISIT US TODAY Land Rover Flatirons is different. We have assembled a team whose goal is to deliver the best ownership experience possible to everyone that chooses to own a Land Rover or Range Rover. Our pre-owned cars are reconditioned to a level unequalled in the market. ADDITIONAL OPTION PACKAGES Red Brake Calipers, Meridian Surround Sound System (825 Watt), Sliding Panoramic Roof, Black Contrast Roof, and Grand Black Veneer Horsepower calculations based on trim engine configuration. Please confirm the accuracy of the included equipment by calling us prior to purchase. Non-Smoker vehicle, PLATINUM BRA, WINDOW TINT NAV, Sunroof, Heated Leather Seats, IVORY/EBONY/EB/IVORY/EBNY, PERFORATED DIAMOND-CUT SEMI-ANILINE LTHR SEAT TRIM, EXTERIOR PROTECTION PACK, BLACK ROOF RAILS, IVORY/EBONY/EB/IVORY/EBNY, PERFORATED. 22-WAY HEATED/COOLED MASSAGE FRONT SEATS W/MEMORY, Power Liftgate, Rear Air. Santorini Black Metallic exterior and Ivory/Ebony/Eb/Ivry/Ivory interior, Autobiography trim. CLICK NOW! KEY FEATURES INCLUDE Navigation, Panoramic Roof, 4x4, Rear Air, Back-Up Camera, Supercharged, Satellite Radio, iPod/MP3 Input, Onboard Communications System, Aluminum Wheels, Remote Engine Start, Dual Zone A/C, WiFi Hotspot. Rear Spoiler, Remote Trunk Release, Privacy Glass, Keyless Entry, Steering Wheel Controls. OPTION PACKAGES RADIO: MERIDIAN SIGNATURE SOUND SYSTEM (1,700W): 23 speakers, DRIVE ASSIST PACKAGE: Adaptive Cruise Control w/Stop & Go, Blind Spot Assist, Park Assist, parallel/perpendicular park and park exit, Adaptive Cruise Control w/Steering Assist, High Speed Emergency Braking, Lane Keep Assist, Rear Traffic Monitor, Clear Exit Monitor, 360 Parking Aid, FIXED SIDE STEPS, HEAD-UP DISPLAY, BLACK ROOF RAILS, EXTERIOR PROTECTION PACK, 22-WAY HEATED/COOLED MASSAGE FRONT SEATS W/MEMORY: winged headrests, driver and passenger 2-way electric power fore/aft and rise/fall adjust, 2-way electric power squab recline and bolsters, 4-way electric power lumbar OUR OFFERINGS Land Rover Flatirons is different. We have assembled a team whose goal is to deliver the best ownership experience possible to everyone that chooses to own a Land Rover or Range Rover. Our pre-owned cars are reconditioned to a level unequalled in the market. ADDITIONAL OPTION PACKAGES Smartphone Pack, Red Brake Calipers, 3-Zone Climate Control, and Sliding Panoramic Roof with Gesture Sunblind Horsepower calculations based on trim engine configuration. Please confirm the accuracy of the included equipment by calling us prior to purchase.